The healing power of footwear. For Matt Ferber, getting dressed and out the door takes a lot longer than most. No, it’s not because he’s indecisive about which of his hundreds of pairs to put on like a lot of sneaker collectors. It’s because it takes him at least 30 minutes to get himself into his prosthetic legs. 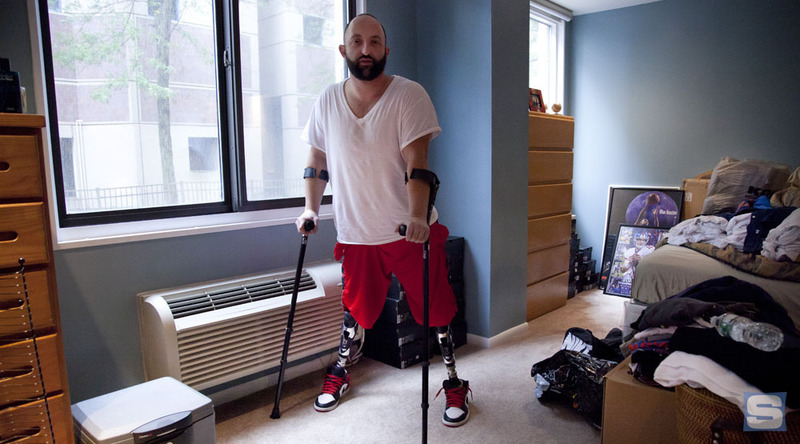 "It’s like a workout every morning,” Ferber says as he lifts himself up from his wheelchair onto his bed, where he takes each of the 25 pound artificial limbs and attaches them to his quadriceps. Ferber, or Ferb as he’s affectionately referred to by his friends, has been living this way for over two years. In 2013, the 29-year-old was involved in a deadly car accident that took the life of one person and caused Ferber to lose his knees and everything below them. He still recalls that night that changed his life forever. It was Feb. 1, 2013. After a night of bar hopping, Ferber and three other friends hopped in a Ford Focus in upstate New York. The car’s driver, John Behler, who was 20 years old at the time and intoxicated, drove the car up to over 100 mph on the highway around 1:00 a.m. "The car was shaking, and I’m like, ‘John, pull over.’” Ferber remembered. “I was sitting in the backseat and he looks back at me and smiles like the devil. Three minutes later, he lost control of the car. John died on impact. The two other passengers in the car survived with injuries. Ferber, who wasn’t wearing a seatbelt, was ejected from the vehicle and onto the road where he laid flat on his stomach. Emergency units eventually rescued him 17 minutes later and brought him to the hospital where doctors found that he had a small tear in his heart that needed to be repaired. Doctors also had to amputate both of his legs and knees. After the accident, Ferber fell into a deep depression. As he learned in physical therapy, there is a grieving process that one goes through when they lose a limb. It’s almost like suffering the death of a family member. “It was mentally tough,” he said. Ferber remembers looking at his sneaker collection around that time and seeing the shoes as reminders of what he'd lost. Air Jordans, Nike Foamposites and more that Ferber amassed over the years were given away because he couldn’t stand to see them anymore. “The feeling of taking them out of the box for the first time, putting them on, and looking in the mirror wasn’t the same,” he said. 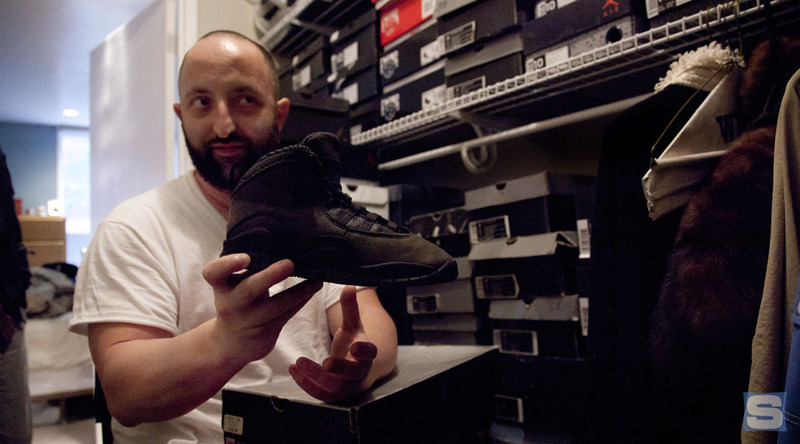 Prior to the accident, Ferber had been collecting sneakers since he was 10 years old. It started with a pair of the “Shadow” Air Jordan 10s that he found at a Nike Outlet, a pair of sneakers that he still has to this day. 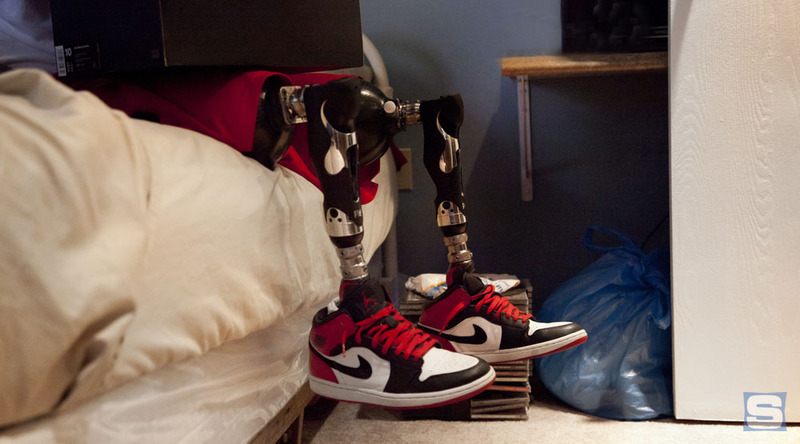 But, losing his legs caused him to lose his love for sneakers. Ironically, it was later on that sneakers that helped Ferber get back to a sense of normalcy. He started learning how to walk again in August of 2013 with the the help of his prostheses. After going through the paces of physical therapy, friends and family encouraged him to not let his accident keep him from living the life that he wanted to. “My dad and couple friends were telling me to not let this situation beat me,” Ferber said. So, he picked the habit back up, camping out at stores for big releases and even buying the sneakers in the size he used to wear when he had his feet. Ferber was able to receive a large undisclosed cash settlement as a result of a lawsuit against the bars that served underage John Behler. Nowadays, his sneaker collection is back in full swing. Boxes of sneakers (in most cases, duplicates of the same pair) not only fill up his walk-in closet, but also the foyer and living room of his apartment in Hackensack, N.J. Although he still struggles with simple things that most would take for granted, like going to the bathroom or shooting a basketball, sneakers have helped him cope. Ferber hopes to open a sneaker store one day. He even has plans to travel and do motivational speaking to others who find themselves in similar situations.